As per the current rates, SBI, Central Bank of India, Indian Bank offer the lowest home loan interest rate of 8.60%. These rates can vary depending upon the value of the property and your repayment capacity. Higher the loan amount, higher will be the rate of interest. After the latest home loan rate revision announced by SBI, Central Bank of India, Indian Bank in 2019, new home loan interest rates start from 8.60% for home buyers as well as for those who want to transfer their loan from other banks. Purpose : Home loan can be used for purchasing a new house, construction of house on a plot, home improvement, extension and renovation of your existing house. Eligibility : Loan available for both salaried and self-employed borrowers within the age group of 18 and 70 years. Security : Mortgage of home you are planning to purchase, renovate or construct. Loan Amount : In the range of Rs. 1 Lakh to Rs. 15 Cr. Loan to Property Value Ratio : Varies from 65% to 90%. Loan Tenure : Can range from 5 to 30 years. Interest rates : Home loan Interest Rates starting from 8.60%. Special rates for women borrowers. Lowest EMI : Lowest EMI of Rs. 776 per lakh. Processing Fees : Up to 1% of loan amount or Maximum Rs. 10,000. Other Charges : Legal charges, technical charges etc. Documents Required : Address Proof, Identity Proof, Income Documents, Property Documents. Top Home Loan Providers : Banks and Home loan companies such as SBI, ICICI Bank, HDFC Bank, Axis Bank, HDFC, PNB Housing, DHFL, Indiabulls Home Finance. Popular Home Loan offers : Banks offer schemes for special category of borrowers including women borrowers, senior citizens, NRIs etc. Banks also offer overdraft facility to save interest on house loan. Some of the popular home loan schemes are SBI special rates for women, HDFC Reach, Axis Bank 12 EMIs offer, Bank of Baroda pre-approved loans, Indiabulls e-home loans etc. 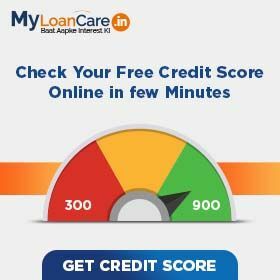 MyLoanCare does a detailed comparison of all banks and housing loan companies on parameters of interest rates, processing fees, prepayment charges, lending process and customer service of banks on a regular basis. Based on latest schemes, the following banks should be in your consideration list for getting a house loan. It has never been easier to get a housing loan, as today you can do online loan comparison based on interest rates, other loan terms and conditions of all banks before choosing the right loan offer. As you decide to take a home loan, always estimate your loan amount eligibility to know the loan amount you will be eligible for and can apply for. Also calculate the monthly EMI that you can comfortably service given your net take home salary and other existing fixed obligations including rent and EMIs on other existing loans, if any. Your house loan eligibility is calculated based on your age, net income, existing obligations, property type, LTV ratio and other factors. EMI is dependent on the loan amount, interest rate and tenure. Once you understand your minimum loan requirement, your eligibility and monthly EMI you can comfortably service, shortlist the banks which offer you maximum loan amount to meet your requirements. If you are buying a property from builder, then check for the banks which have approved the projects you have shortlisted. For resale property, check the approved map plans and ensure that all property registration papers for the complete chain from the first owner to current owner are in place. Shortlist the banks which lend on your chosen property. Choice between fixed and floating rates - Fixed rates come at a slightly higher rate of interest compared to floating rate loans and interest rate remains constant during the tenure of home loan. In floating rate loan, interest rates are reset at periodic intervals in response to changes in MCLR and PLR rates of banks or NBFCs. Majority of housing loans in India today are floating rate loans as it allows the borrowers to get home loan interest rate in line with the current interest rates. Decide if you need a home saver loan - This is a loan with overdraft facility which allows you to deposit surplus amount in your home loan overdraft account as and when available, allowing you to reduce your overall interest amount. This loan is highly recommended for salaried individuals with high bonuses and self employed business which is seasonal and has fluctuating cash flows. The interest rates on overdraft loan is slightly higher than that of a regular housing loan interest rate. You can also evaluate a mortgage guarantee house loan as it covers any default risk and allows the lender to give you loan at low rate of interest. You will however need to pay a mortgage guarantee fee to the bank. Check and compare the current home loan interest rates of the banks on various types of loan products and take an informed decision. In addition to interest rates, banks also charge many other fees on home loans. Along with interest rates, you should check other associated costs with a your loan which include prepayment charges, processing fee, insurance premium and other charges offered by the shortlisted banks. You should calculate all inclusive costs on home loan to be able to further shortlist the banks and reduce your choice to 2-3 banks. You can take the help of loan advisors of online marketplaces like myloancare.in to be able to get details on home loan rates of all banks and take an informed decision. Finally as you decide to take the loan, also consider other service and transparency related parameters of the chosen banks. Some of these factors are turnaround time offered by the banks, quick loan delivery, doorstep services, transparency in the loan process. You also need to understand the trends and changes in MCLR rates over a period of time. Last but not the least, read reviews of existing customers on banks on their services, interest rates and transparency to take your decision to borrow from a bank. SBI For Women Borrowers Loan is offered at concessional rate starting @ 8.60%. The table below summarises the popular types of home loans in India based on their purpose and interest rate. New Home Loan To buy a new flat, apartment or house from a builder or seller.Also includes loan for construction of house on an existing plot. Home Improvement Loan To renovate your existing home like tiling, flooring, painting etc. Home Extension Loan To expand the house by adding new space like floor, room, balcony etc. Home Conversion Loan Scheme to allow borrowers to transfer their existing loan from fixed rate to floating rate or vice-versa A conversion fee is levied on the outstanding principal to switch your loan. NRI Home Loans Home Loan for Non Resident Indians to buy, construct or renovate a home in India. Home Loan Overdraft Borrowers can add surplus funds in an overdraft account for any period to reduce interest liability. Interest rates are 0.15-0.2% higher than regular housing loan. Home Loan Top Up To borrow additional amount on existing home loan from same bank or at the time of balance transfer up to a percentage of property value. Interest rates are 0.25-1% higher than regular housing loan. Home Loan processing fees -Most banks charge processing fees of up to Rs. 10,000 or up to 1% on house loans, whichever is higher. 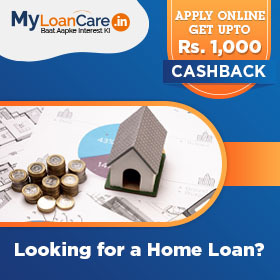 To get lowest fee, comparison of home loan rates, offers and cashback, apply online through MyLoanCare. Home Loan prepayment and foreclosure -Nobody wants to keep paying interest on a loan when you have surplus money available to repay it. When you want to repay your loan partially before time, it is called part prepayment. In case you decide to pay the entire loan amount before time, it is called foreclosure. Banks typically levy prepayment or foreclosure charges in such situations and these can range from nil to upto 5%. So, check carefully if the low rate of interest you are getting comes with high prepayment or foreclosure charges. Note that some home loans cannot be repaid before time. Special interest rates for specified category of borrowers -Banks launch attractive schemes with low interest home loans on housing loans on a regular basis, especially for women borrowers. Hence, always check for home loan offers from multiple banks to get the cheapest rates. Other Charges -Bank charges legal and technical fee from the borrower which are explained at the time you apply for loan. You can apply for loan in several ways. You can directly visit the bank branch and meet the sales person, contact a loan agent or apply online at any bank or NBFC’s website. You can also check and compare best interest rates of all banks online at MyLoanCare and apply for loan. How can I apply home loan in my city? Yes, you can apply home loan in your home town provided you have sufficient income to pay the EMIs on time and have good credit history. You can also compare home loan offers for different cities online at MyLoanCare and apply for the loan at lowest rates. These are generally taken for a longer period of time. The loan tenure for hosuing loan ranges from 5 years to 30 years. What is the minimum CIBIL score required for home loan? CIBIL score ranges from 300 to 900. A score of 650 and above is considered as good credit score to get housing loan. Higher the credit score, higher the chances to get loan approved. How do I calculate the interest rate on my Home Loan taken some time back? Has it gone up or down? What are the property documents required by Banks/HFC? Can I apply for housing loan jointly with my spouse? Yes, you can apply jointly with an earning co-applicant (either be your spouse or your parents). Adding co-applicant can increase your eligibility and you can also avail for a higher amount of loan as your co-applicant’s income also gets added to your income and that total is taken into consideration for calculating the loan amount you will be eligible for. Does it affect my co-applicant if I default in home loan? Yes, if you fail to pay the loan on time then it will also affect your co-applicant as default in loan will affect his/her CIBIL rating as well. Can I do balance transfer on house loan? Yes, if you are getting higher interest rate and paying higher EMI than other banks, then you can opt for housing loan balance transfer and reduce your monthly burden. Can I take top up on my existing home loan? Yes, you can avail top up on their running house loan only if you have made timely repayment of EMIs accrued on existing home loan. The interest rate charges on a top up loans are comparatively 0.25 – 1% higher than a housing loan. The loan can be availed with minimal documentation. Yes, you may be eligible for qualifying a home loan even with a low CIBIL score. But, the lenders may charge a higher rate of interest on your loan and may ask you to apply for loan along with a co-applicant to improve your credit worthiness. What are the tax benefits available on home loans? Tax exemption on repayment of home loan principal (under section 80C)– The individual is eligible for a maximum annual tax deduction of Rs. 1,50,000 (Rs. 2 lakh for senior citizens). Tax benefit on the interest rate for home loan (under section 24):– The individual can avail the tax benefit on the amount of interest paid on their housing loan to the maximum limit of Rs. 2 lakh (Rs. 3 lakh for senior citizens) for a self-occupied property. Nowadays, almost all banks offer attractive schemes on Home Loan at competitive rates with many customer friendly features. You can do rates comparison, check your eligibility, calculate EMI, apply online and get the best Home Loan rates. MyLoanCare helps you throughout the loan process from the day you apply to the time you get disbursement. You can register with us, track your loan status on a regular basis and get an option to earn attractive cashbacks and refer and earn benefits.